HOUSTON – CraneWorks Canada Inc. counts the sale of the Palfinger P 650i insulated aerial work platform among one of its major successes this year. This is the first insulated 200-plus-foot class aerial device to deliver in North America for the manufacturer. Altalink LP, Alberta’s largest electric company and most recent acquisition of Berkshire Hathaway Energy Company, expects delivery of the innovative new offering in early-January 2015. Altalink supplies power to 85 percent of Alberta’s population. “This is the first aerial, insulated device available on the market. It’s the very first one.  This was a joint project between Palfinger, ourselves and Altalink,” Chris Roberts, President of CraneWorks Canada, said. “This is technology that’s just becoming available to our marketplace.” The unit was built and installed this past fall at Palfinger’s Bison Wumag facility in Krefeld Germany. With a working height of 213 feet 3 inches (65 meters) and an insulated boom assembly, this vehicle is capable of working on live power lines: without interrupting electrical service to an increasingly wired world. The insulated truck mounted aerial device also has a maximum lateral reach of 88 feet 7 inches (27 meters). This makes the P 650i ideal for servicing 165 foot towers, which are now becoming the norm. Until it makes its Alberta debut in Q1 2015, the only option has been to utilize boom trucks fitted with insulated jibs to access and service these power transmission lines. This is a new product offering to North America from Palfinger, the Austrian-based manufacturer of truck mounted cranes, aerial devices and equipment. The first insulated P 650i platform was delivered in 2014 to an Australian Utility Company, this being the initial prototype unit.